The governor uses his radio address to attack President Obama's Affordable Care Act. “There is nothing that degrades politics more than purported leaders who so cavalierly invoke the worst in human history when they can’t get their way in legitimate, modern policy disagreements,” Grant said. The Gestapo were Nazi Germany’s official secret police under Adolf Hitler, who imprisoned and murdered thousands of people without cause. The debate over the mandate has become a political flash point since the health law was enacted. Republicans maintain that the requirement is an unfair tax. Democrats say the mandate was originally a Republican idea born from the conservative Heritage Foundation, which introduced the measure in 1989 as a counterpoint to calls for a single-payer health care system. LePage also addressed another element of the health-care law that was immediately thrust into the public debate: Medicaid expansion. Originally, the Affordable Care Act required states to increase eligibility for low-income residents or pay a penalty. The court decision struck down the penalty; however, the federal government is still offering to pay for the expansion. The federal government will fund 100 percent of the expansion from 2014 to 2016, gradually declining to 90 percent after that. 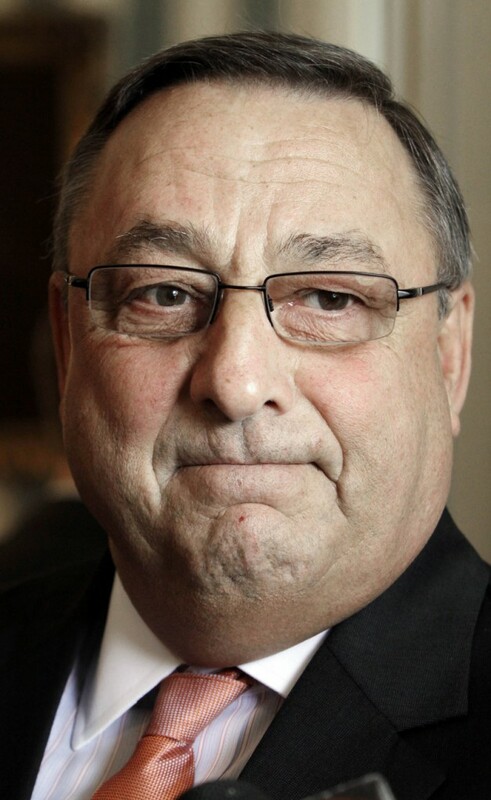 LePage says he needs more answers before making a decision about the Medicaid expansion, which has been assailed by fellow Republican governors. At least 15 have said they’ll forgo the federal funding. LePage said the state doesn’t know how the federal matches will be paid for and how the newly eligible recipients would be defined. “However, Maine is already a welfare expansion state because of the generous benefits offered,” he said, adding that Maine’s welfare costs are among the highest in the nation because the state had expanded Medicaid prior to the Republican electoral sweep of 2010. The governor also appeared to preempt potential pressure from hospitals to support Medicaid expansion. Hospitals may end up supporting the expansion because increased Medicaid offerings lower uncompensated, or charity, care levels. Uncompensated care is health-care costs that hospitals absorb because people can’t or won’t pay. A recent report in the Portland Press Herald showed that uncompensated care by Maine hospitals has doubled over the last five years, from $94 million to $194 million. LePage said that increasing Medicaid may make it more difficult to pay hospitals the $500 million the state already owes in reimbursement. The governor added that Maine will not move forward the ACA’s insurance exchanges — the marketplaces where individuals can shop for health plans from private companies — until the proposed $800 million tab to pay for them passes Congress.